Full Description: Minting Tutor Books: The Wheatstone May Fair English Tutor. 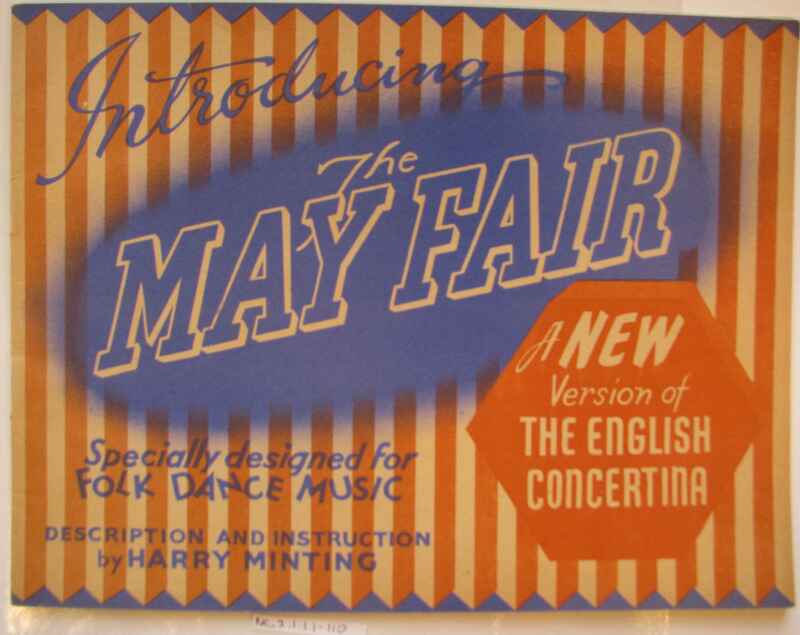 This tutor for the budget May Fair (also available as an Anglo) was created by Harry Minting, who directed the publication at the Folk Dance community, with which he was very involved as player and arranger. There is a Wheatstone May Fair in the collection as Item C.099.